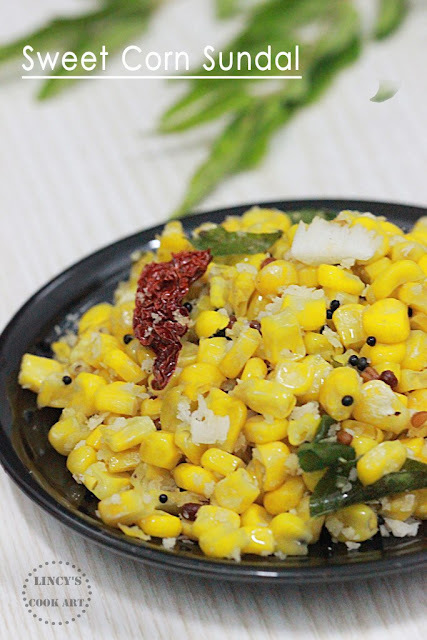 Sweet corn sundal is an easy to make sundal item for Navaratri or Vinayaka Chaturthi as well as snack which could be made within minutes. The other sundal recipes made with chana or peas requires prior soaking time. Easy to make evening snack for the hungry kids who return from school. Frozen corn make things easier which could be prepared within less than 10 minutes. Simple quick and tasty evening snack. Could be prepared for the festivals like Navarathri or even for some gathering. Colourful and tasty snack to munch in the evening with tea! Remove the husk from the sweet corn and boil it or steam it with some salt. Remove the corn kernels from the cob using a knife. If you are using frozen corn just thaw the corn and proceed. Heat oil in a pan and add the mustard seeds, urad dhal and red chillies. Once the mustard seeds start to splutter and the colour of the urad dhal turns golden add the green chillies, curry leaves and hing. Once the curry leaves turn crisp, add the cooked corn, salt to taste and mix well. Finally add the grated coconut; mix well and turn off the heat. 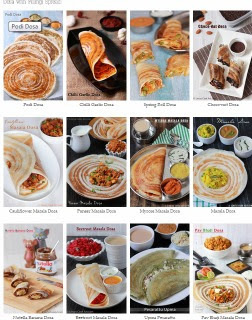 I am going to make this for sure... very very soon... sounds yum!